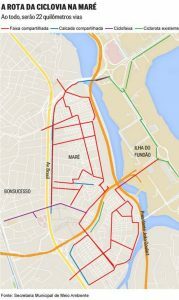 The Rio Bicycle Capital City project, which encourages cycling in the city, arrived for the first time in a favela complex: Maré in the North Zone of Rio de Janeiro. In partnership with the Parque Maré Neighborhood Association, the city guaranteed the installation of a 22km shared bike path. This is one of the projects promoted in the media among the set of pre-Olympic promises. The body responsible for the project, the Municipal Environment Secretariat (SMAC), states that 18km of shared bike paths have already been developed and 620 bicycle parking spots created. The remaining works have been suspended since January 2016. When asked about the program’s failures, such as the lack of painting, broken signs, and potholes, the SMAC press secretary stated in an email that all issues will be corrected prior to the acceptance of the works, and the total cost of the construction has been reduced to around R$5 million. Residents note that the works began in March 2015. 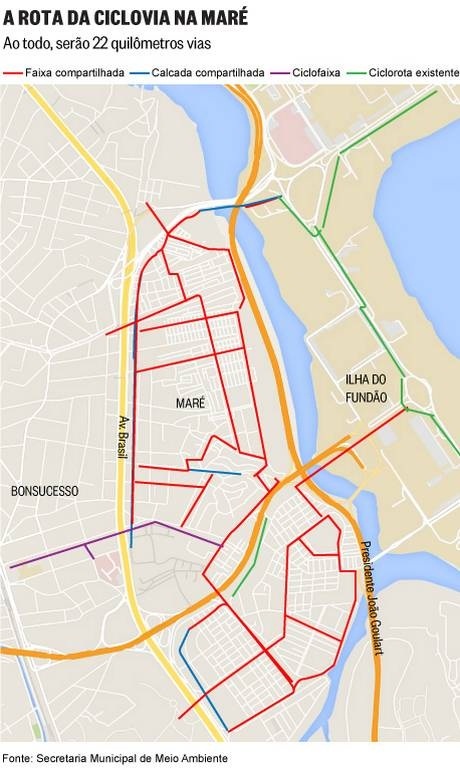 With the initial budget of R$7 million, the goal was to integrate all of the Maré communities to the BRT stations all the way to the downtown area of the city and also to Alemão, Fundão, and Bonsucesso. The installation of the initial stretches of the bike path was a challenge. On the wide roads, for example, the bike path is shared and cars pass alongside it. The six kilometers of exclusive paths are for bicycles and motorcycles. Even before their completion, the paths already require maintenance. 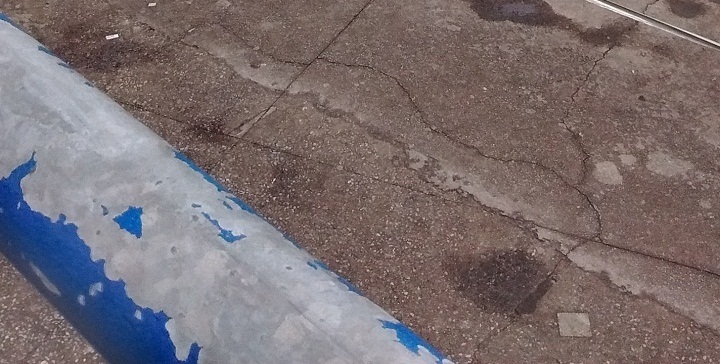 For months now, the paint is no longer visible on portions of the asphalt, which has worn down or is covered in cement due to works for the Schools of Tomorrow program. Although the planning was well structured within the laws, it does not apply to the streets of Maré: itinerant vendors work on the sidewalks and along the roadsides, motorcycles, cars, and even small trucks circulate throughout the area, including on the path shared with cyclists. According to resident Uesley dos Santos, 23, the main reasons for using bicycles are speed and convenience. As for the bike path, he is not satisfied: “The project is poorly designed. 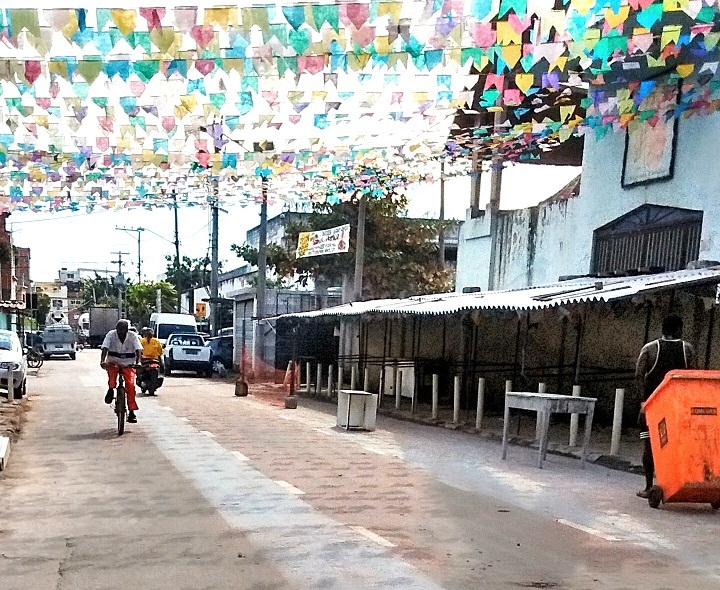 For example, in the Nova Holanda favela, the path goes down Rua Texeira Ribeiro, one of the busiest streets in the community with a large volume of vehicles and pedestrians. It’s the main street with commerce and street markets,” he complains. There is no schedule for the works to be resumed and the companies involved are not contracted by the city of Rio but rather by another company whose name was not disclosed. As soon as the final inspection of the project occurs, the works have a five-year guarantee. The official launch of the path was planned for the first half of this year. The idea of creating alternatives for urban mobility in heavily circulated areas is to enhance the quality of life and reduce CO2 emissions. 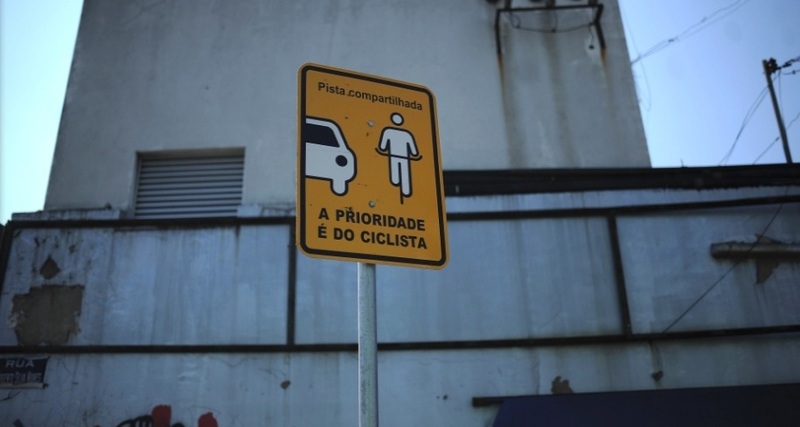 But when the work is not completed and residents are provided no explanations, the announcement that Rio is today the Bicycle Capital City, with nearly 440km of bike paths, does not mean much. 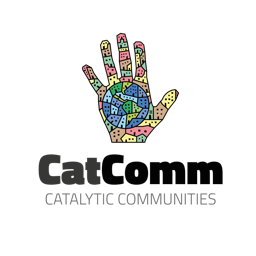 Thaís Cavalcante is 21 years old, she has been a community reporter since 2012 in Complexo da Maré, where she was born and raised. She is studying for a degree in journalism and contributes to Jornal O Cidadão and The Guardian. Carolina Vaz is a journalist by training and a communicator by calling and out of passion. She works as a volunteer at the NGO Pipa Social and at the newspaper O Cidadão. 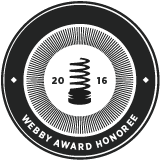 This article was written by Carolina Vaz, Thaís Cavalcante, and published on July 24, 2016.